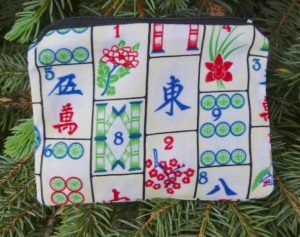 Years ago in my effort to offer a wide variety of fabrics I found a print with mahjong tiles. 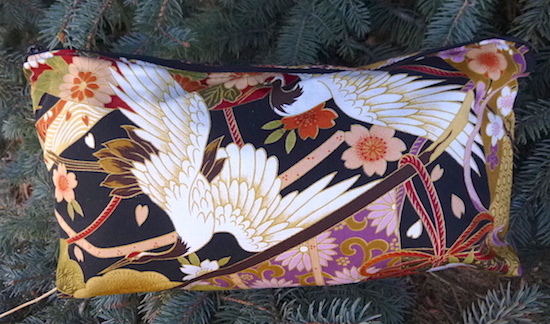 Since I am always on the lookout for fabrics that might reflect my customers interests and hobbies I bought some. I used it for my usual zippered bags, my Raven coin purse and Scooter makeup accessory “use for everything” bag . 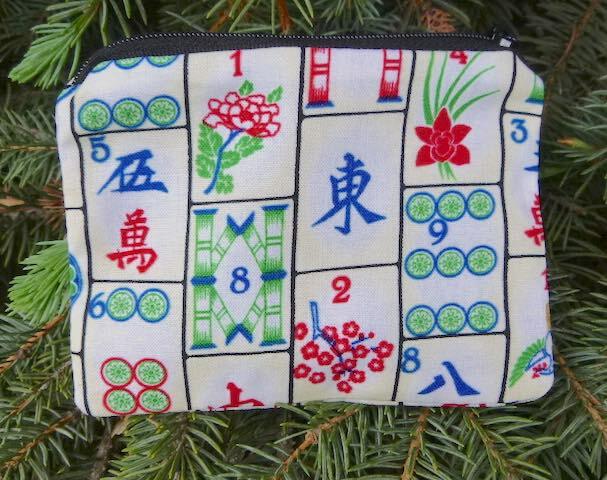 As time went by I was asked to make a zippered pouch that would hold a mahjong card with an inside pocket for coins as there can be some friendly wagering involved. 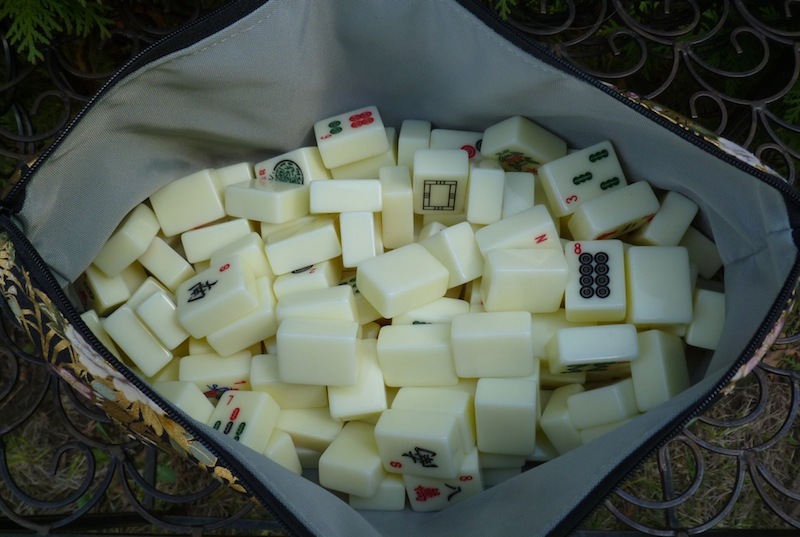 Although I had the mahjong fabric I knew nothing about the game itself. Luckily I have a friend named Google who told me all about it. I learned the card comes in two sizes and a new one is released each year. So I designed the Slide, and made sure it would hold the larger size card. 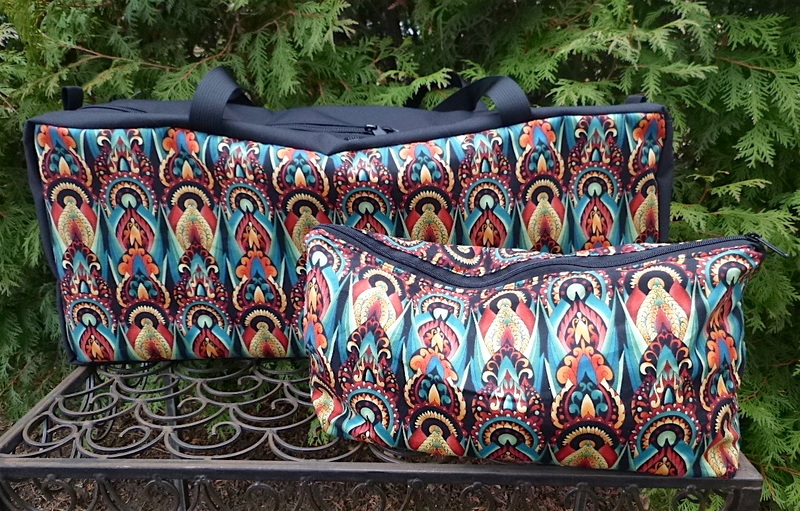 When you have more than one set you might just need the perfect bag to hold, and even reflect, the tiles design. 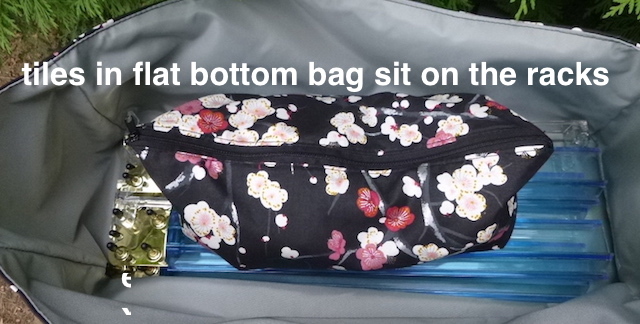 Enter my large Zini flat bottom bag. I designed this to hold up to 166 tiles. It has proven to be very popular. Then I learned of an issue that was in need of a solution. 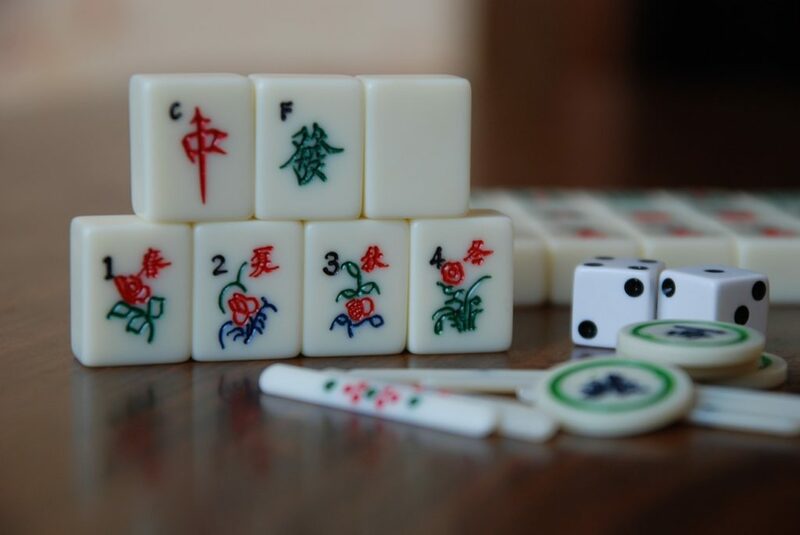 Mahjong is played using racks for the tiles to sit on, similar to Scrabble. You can buy a set of tiles and racks and they tend to come in a hard case like a briefcase. The problem with this case, besides not being especially attractive, is that that the tiles all sit on a special ledge inside the case and you have to put them in one by one. Too much work! 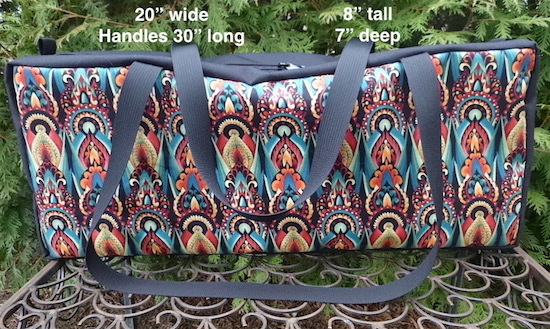 After a fair amount of design work I had the solution and a beautiful one it is, if I do say so. 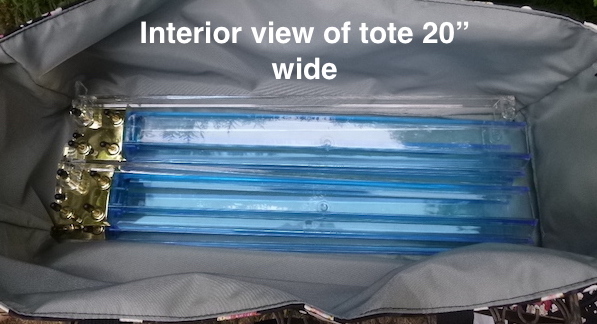 I designed a soft sided open top tote which I call the tote-ster that will hold the racks and the pushers for the tiles. 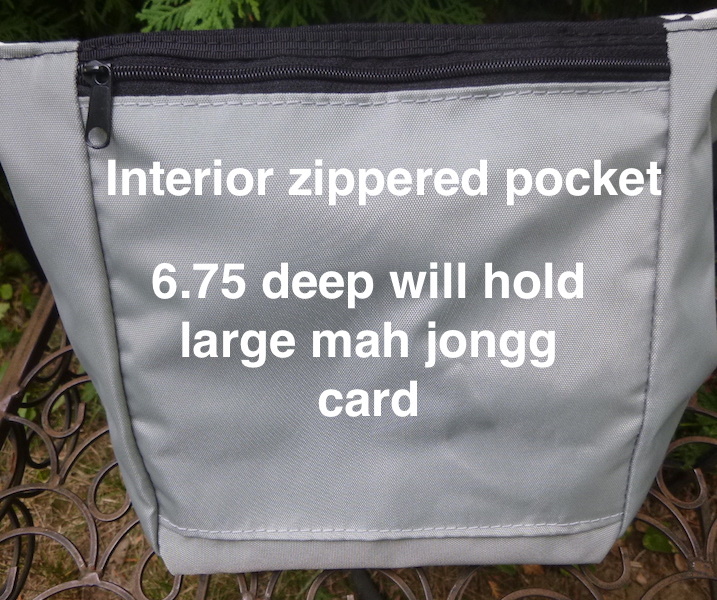 It has a pocket inside for the above mentioned card. 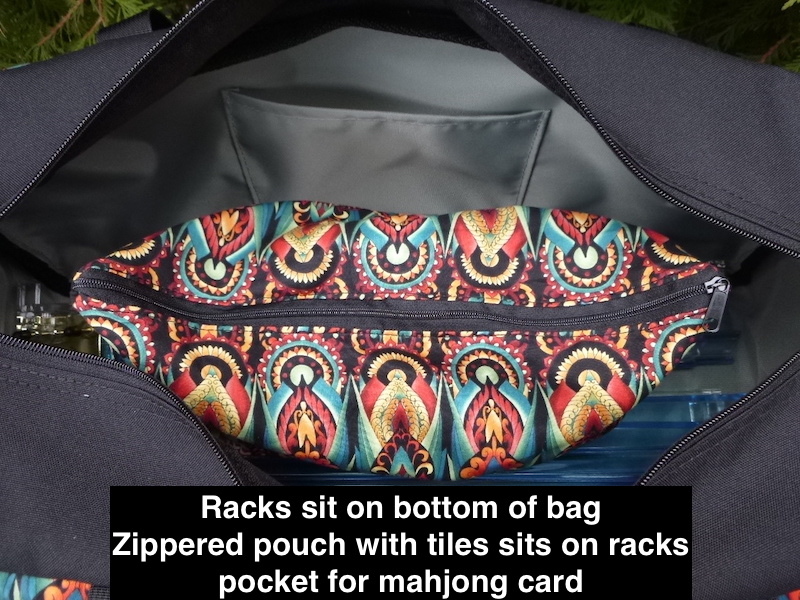 The tiles, now easily swept from the table into the large Zini, sit on top of the racks inside the tote-ster. 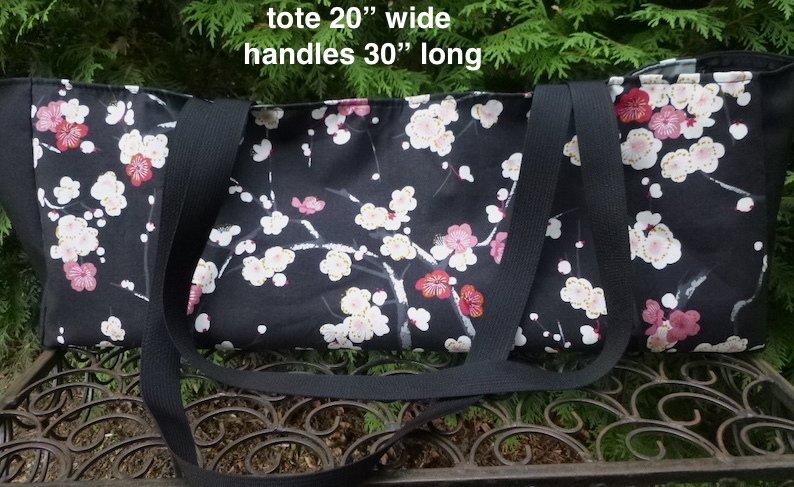 Long handles allow the tote to be carried hands free on the shoulder. Then one more request came in. 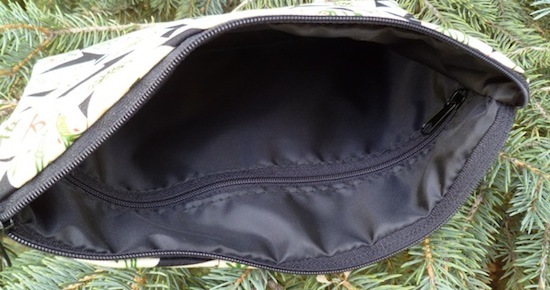 Can the tote have a zipper? Voila! 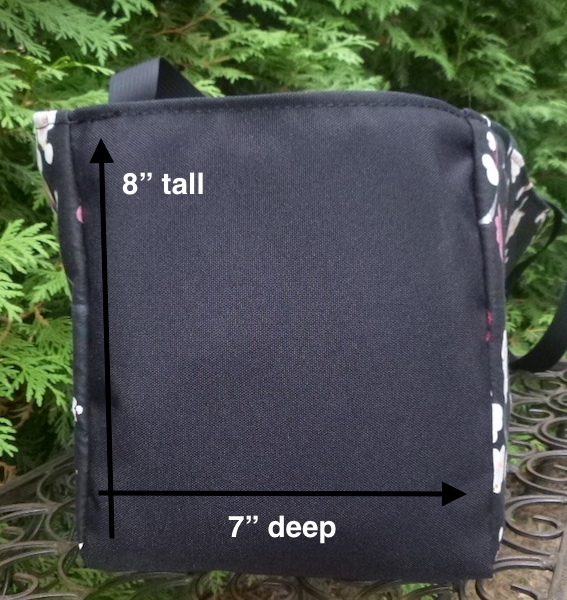 The zippered tote-ster and large Zini came into the world of Zoe. It’s a popular set and a product of which I am quite proud. They are beautiful. I made a custom set for one of my customers and then for her friend. She told me they thought about keeping them on display in their homes! 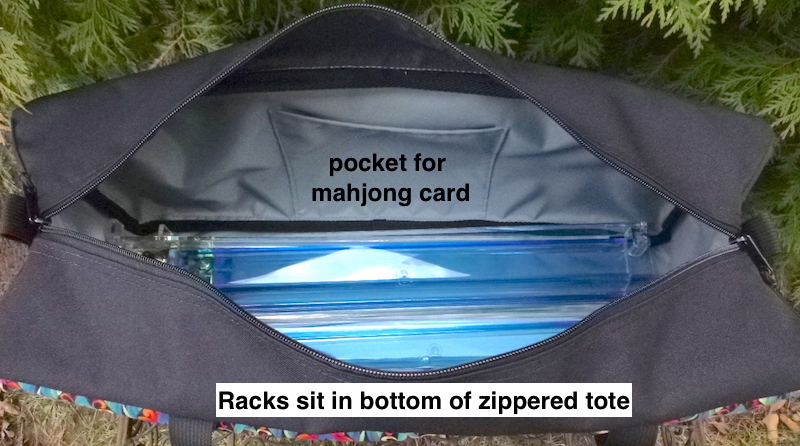 Come take a look at all the mahjong bags in my shop! Custom orders are welcome.